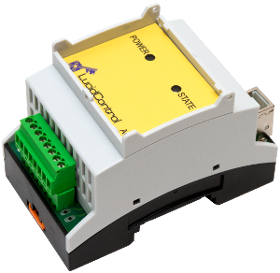 Summary: The LucidControl USB Relay Module offers a means to turn something off or on. A „1“ causes an associated relay or switch to latch, whereas a „0“ results a relay to unlatch. A USB Relay Moule offers a digital representation for off or on (0 or 1). They are widely used for relays and triggering alarms. 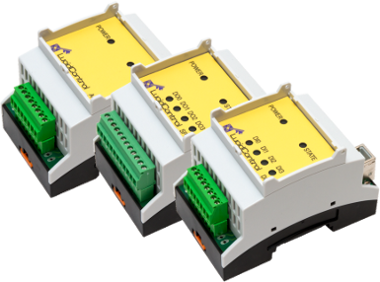 There are 4 digital relay outputs available. They are solid state relay interface, mechanical relays, open collector output, and opto insulation. The solid state relay interface use SSR or solid state relays. They cater to general purpose application and offer good protection and excellent overall capabilities to control power loads such as fans, pumps or heating systems by pulsing periodically or switching statically. A single digital output is rated with 30 V and 0.75A and can switch loads up to 22.5 Watt. The next type of USB Relay module is the mechanical relay switch. It lets you to toggle or switch signals and also switch power load. For instance, it helps to measure without any distortions. The mechanical relays also offer an extremely high level of protection. The open collector interface is the next variety of digital module and is realized using transistors. They are ideal for LEDs or dim lights. They also generate fast digital output signal for general usage. The outputs are rated 0.75A and 30 V. They can switch load up to nearly 22.5 Watts. There are also different modes of digital output operations and the 4 channels of a digital output offer maximum flexibility. A USB Relay Module may be easily configured as reflect mode, duty-cycle mode, and on-off mode. The reflect mode generates an output signal in a digital fashion through setting the channel states directly. The duty-cycle mode successfully generates a PWM or Pulse Width Modulation via configuring duty cycle and cycle time. This mode may be used to pulse the loads at regular intervals and hence is used to control the power of load. The on-off mode helps in generating an output signal that is sequential in time. Hence, this mode of digital output signal may be utilized to operate time switches. The advantages of USB Relay Module are high speed in output processing, optical indication to know digital output state, no additional power supply needed, have design ready for industrial use that can be mounted directly on switch board since the usage of industrial standard input output connectors offer reliable interconnection. They are also very simple to install, and hence work can be started immediately. The digital o/p modules are compatible with Linux, Windows, Beagle Bone and Raspberry Pi. Additionally, software and drivers are provided for all major operating systems. Command line tools and APIs for Windows and Linux are available.